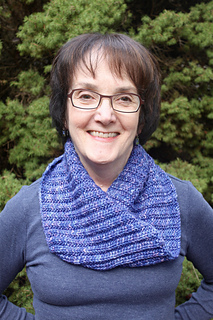 Named after one of my favourite places to hang out, this is a quick and easy cowl with a twist. What is the twist? The stitches are given one full rotation before joining to knit in the round to make a twisted loop. 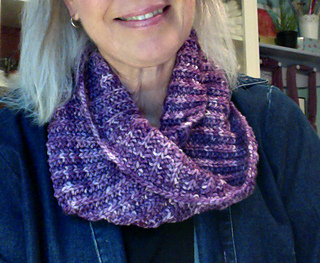 This time of year, my neck is always cold and this makes a perfect warm cowl to wear, indoors or out. By having the twist, the cowl always seems to fall just right around my neck and the ribbed patterns makes it cozy and warm. 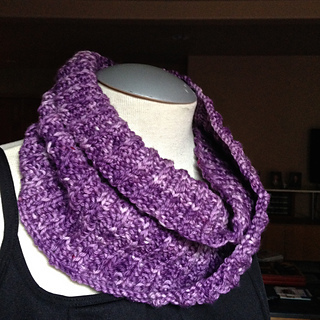 The completed cowl is approximately 25” in circumference and 9” high. September 12, 2015: The pattern has been updated to correct the last 3 stitches in Round 2; The updated version will have v1.1 in the bottom right corner.